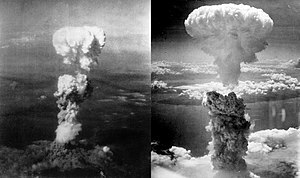 This entry was posted in Global Politics, Peace and tagged disarmament, Hiroshima, Jacques Chirac, mutually assured destruction, Nagasaki, nuclear weapons, United Nations by David Taub Bancroft. Bookmark the permalink. Indeed true! There should always a way for the betterment of the world.